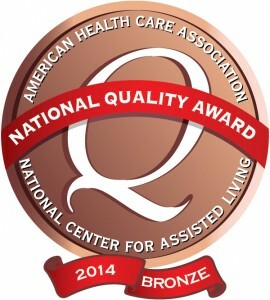 The AHCA/NCAL National Quality Award Program provides a pathway for providers of long term care services to journey towards performance excellence. The program is based on the core values and criteria of the Baldrige Performance Excellence Program. Bronze – Commitment to Quality applicants begin their quality journey by developing an organizational profile including vision and mission statements, an awareness of their environment and customers’ expectations, and a demonstration of their ability to improve a process.